3 months, 6 months, Stylist and Compact Walk, see, touch and do! 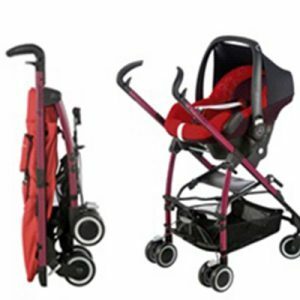 Get your child's daily discovery trip started with the Maxi-Cosi Mila buggy. 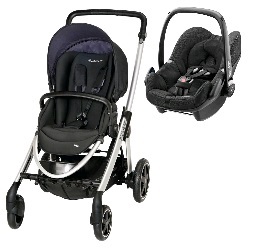 Convenient and quick-folding, the Mila buggy adjusts to a fully flat position for nap times. 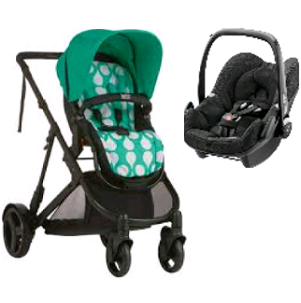 It includes a shopping basket for baby's essentials and a large protective sun canopy.Product features: * Practical buggy specially designed to use from birth with the Maxi-Cosi baby car seat , with or without seat unit. * Compact and lightweight. * Folds into a compact freestanding unit for storage at home and during travel, with automatic storage latch. 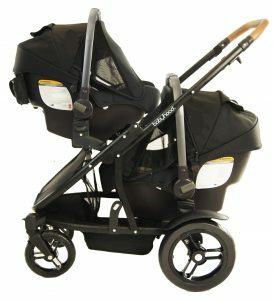 * Reclines to lie-flat position for younger babies * Fitted with a 3-point harness system. * Large sun canopy offers shade in all seating positions. * Very easy to steer, swivel wheels can be locked for a smooth drive. Price includes installation of the capsule and adaptors.